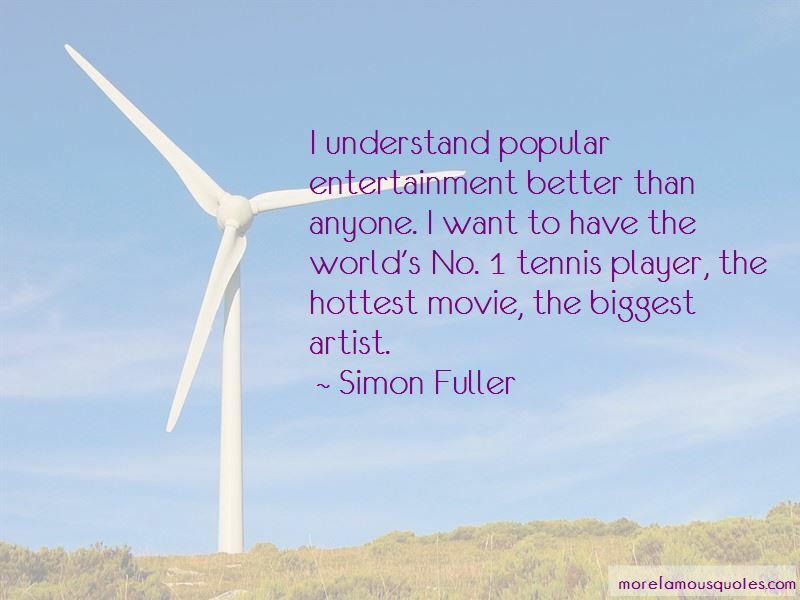 Enjoy the top 6 famous quotes, sayings and quotations by Simon Fuller. 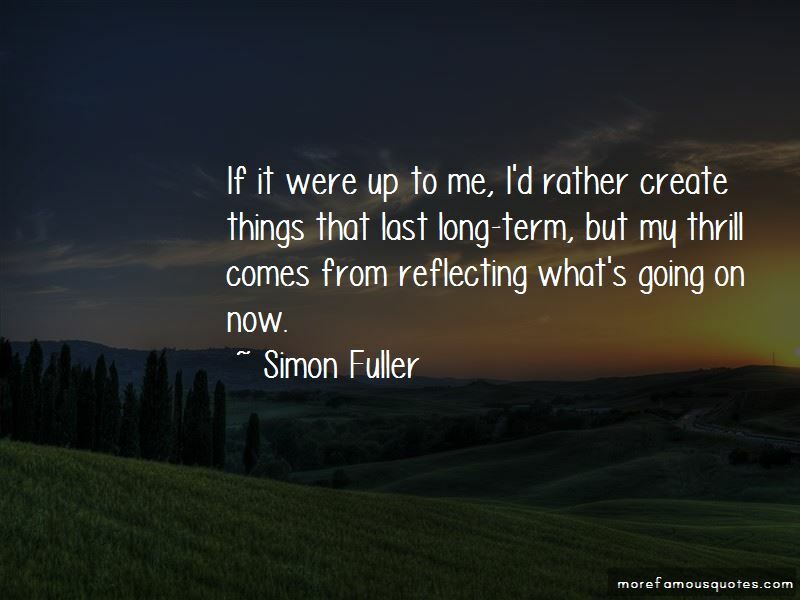 If it were up to me, I'd rather create things that last long-term, but my thrill comes from reflecting what's going on now. Fame is a modern phenomenon caused by the explosion of media, where there's a zillion digital channels and snappers everywhere. It's so attainable, so people can have their Warhol 15 minutes of fame, and some are so aggressive. 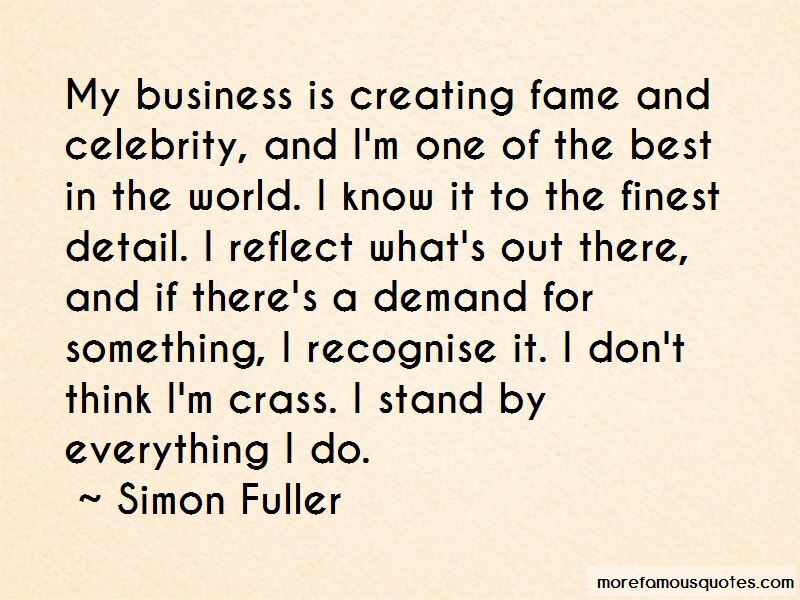 Want to see more pictures of Simon Fuller quotes? 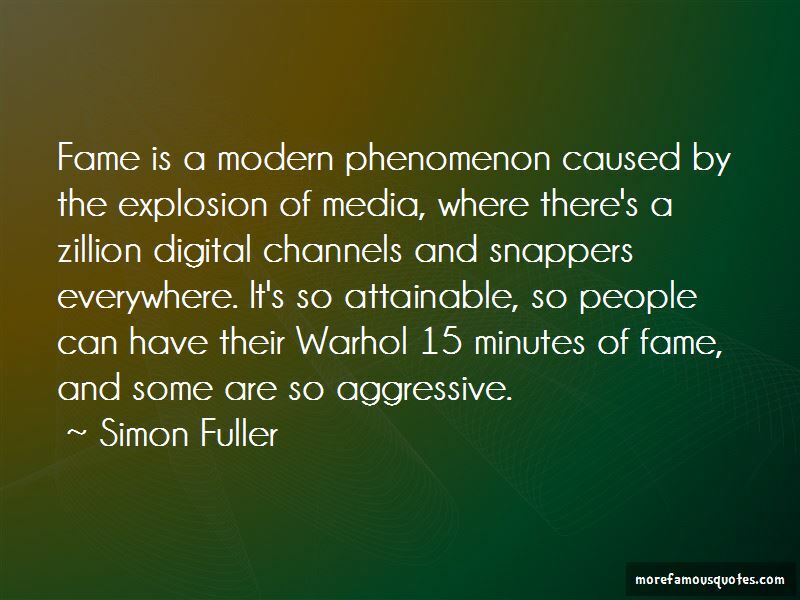 Click on image of Simon Fuller quotes to view full size.